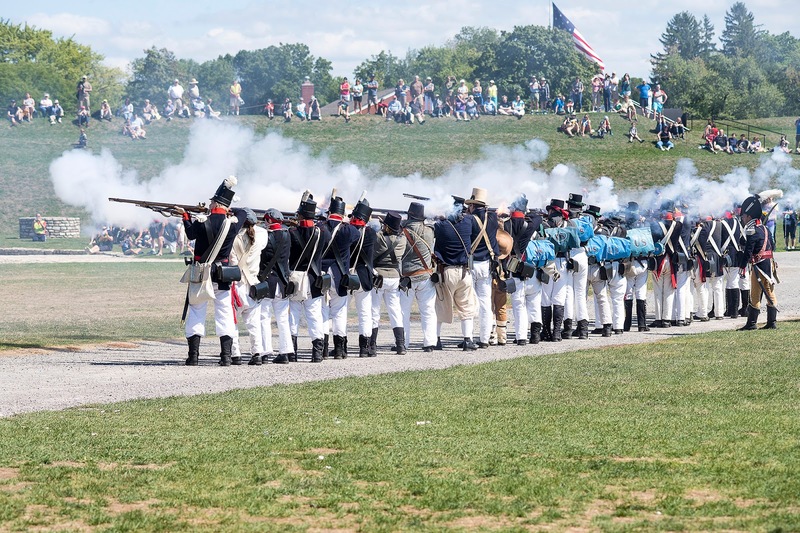 Old Fort Niagara will host its last re-enactment of the summer, “War of 1812 Encampment,” on September 2 and 3 at the National Historic Landmark. 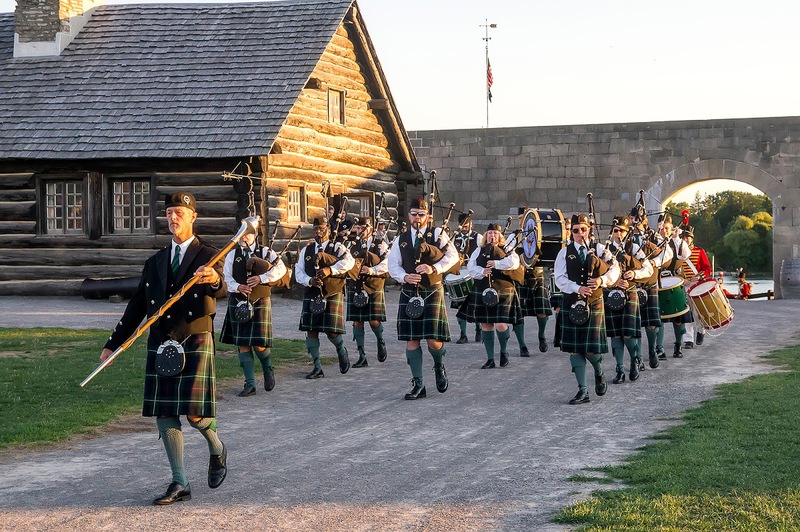 This annual event portrays the British attack on Fort Niagara during the American occupation in December 1813 and includes a unique evening battle and activities for visitors. 4:30 p.m. (Sunday) Last admissions into the fort; Fort closes at 5 p.m. 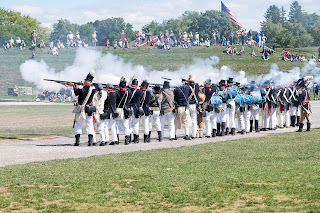 The Saturday evening activities, below, are unique to this event and the fort remains open late. Day-time visitors are readmitted for the evening program with their saved receipts should they decided to leave and return. Admissions into the fort for this program will end at 7 p.m. when the doors will be closed to incoming and outgoing visitors until about 9 p.m. to ensure visitor safety. The cost to attend the event is regular admission to the fort ($12 for adults, $8 for children ages 6-12, free for children 5 and under) and is free to members of the Old Fort Niagara Association. The Officers’ Club, just outside the fort’s footprint, will be open during the encampment from 11 a.m to 4 p.m. for tours and access to the World War II display. Old Fort Niagara’s Lighthouse remains open from noon to 3 p.m. daily through October 9 and is free. Visitors must be at least 4 feet tall and sign a waiver. *Dr. Barbuto is the author of the books Long Range Guns, Close Quarters Combat: The U.S. Artillery Regiment in the War of 1812 (2010), and U.S. Army Staff Ride Handbook for the War of 1812 Niagara Campaigns, 1812-1814 (2016), which are both available for purchase in the fort’s museum shop. 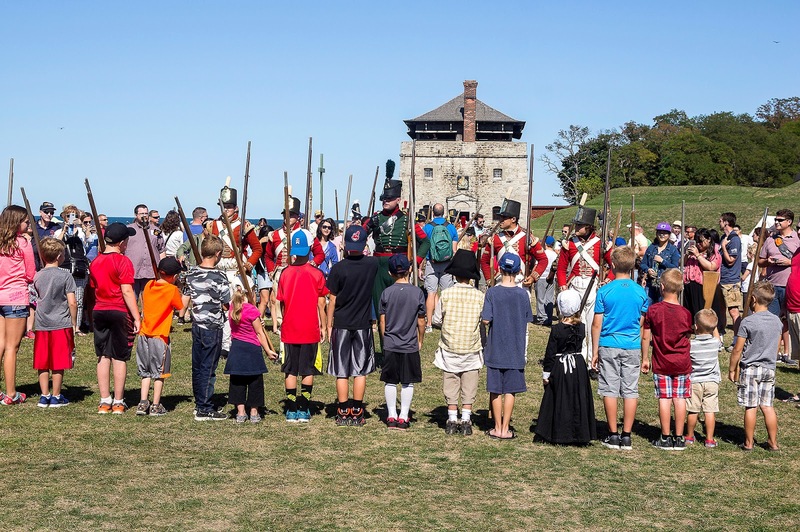 Old Fort Niagara (www.oldfortniagara.org) is open daily from 9 a.m. to 6:30 p.m. in July and August and from 9 a.m. to 4:30 p.m. starting in September. Gates close 30 minutes after the last ticket sale. Old Fort Niagara is a Registered National Historic Landmark and New York State Historic Site operated by the Old Fort Niagara Association (a not-for-profit organization) in cooperation with the New York State Office of Parks, Recreation and Historic Preservation. Follow us on Facebook, Instagram, Twitter and YouTube.